Author: D'Souza, Tony Set In . . . In an Ivory Coast village where Christians and Muslims are squaring off for war, against a backdrop of bloody conflict and vibrant African life, Jack Diaz?an American relief worker?and Mamadou, his village guardian, learn that hate knows no color and that true heroism waits where we least expect it. During lulls in the violence, Jack learns the cycles of Africa?of hunting in the rain forest, cultivating the yam, and navigating the nuances of the language; of witchcraft, storytelling, and chivalry. Despite the omnipresence of AIDS, he courts a stunning Peul girl, meets his neighbor’s wife in the darkened forest, and desperately pursues the village flirt. Still, Jack spends many nights alone in his hut, longing for love in a place where his skin color excludes him. 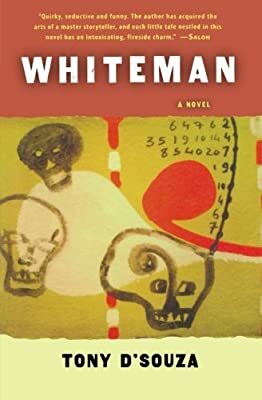 Brimming with dangerous passions and the pressures of life in a time of war, Whiteman is a stunning debut and a tale of desire, isolation, humor, action, and fear.